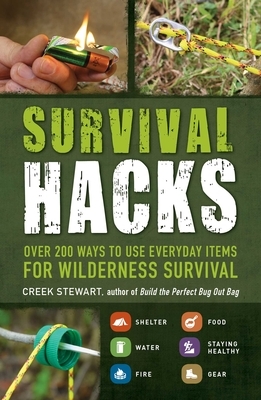 Creek Stewart is an expert survival instructor and author of Survival Hacks and the bestselling Build the Perfect Bug Out series. Stewart is the Weather Channel Survival Expert, as well as the host of the show Fat Guys in the Woods. He’s the owner and founder of Willow Haven Outdoor Survival Training Schools in Central Indiana, and was named one of the “Top 10 Survival Schools” by MSN Travel. He lives in Carmel, Indiana.